The Casio G-Shock watch line is one of the most iconic line of watches, they can found everywhere, even in this day and age of the smart phones. I have yet to meet a person that dislikes these watches, I personally really like them, especially the old ones, which remind me of my childhood. These watches have been in production since 1983, making 2018 the 35th year of production. To celebrate this occasion, Casio has released a few special edition watches. 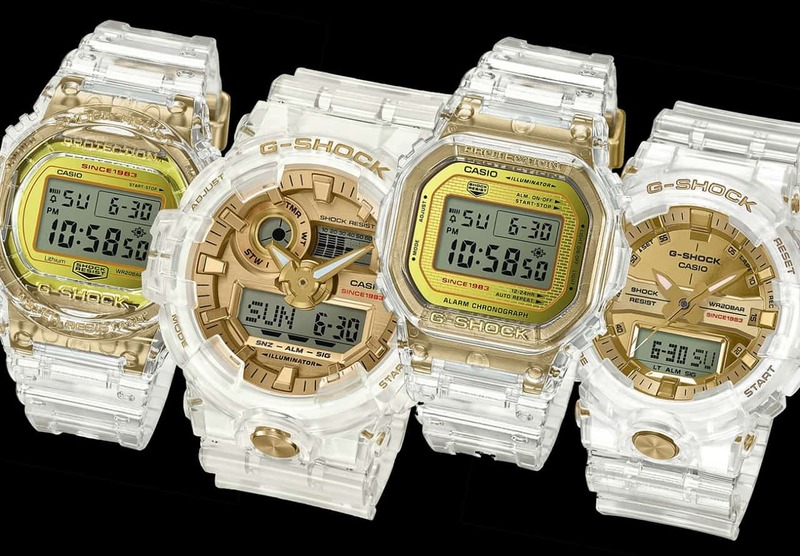 The watches are called Casio G-Shock Glacier Gold 35th Anniversary Limited Edition ‘Jelly G’ collection and come in four flavors, two digital and two ana-digital. 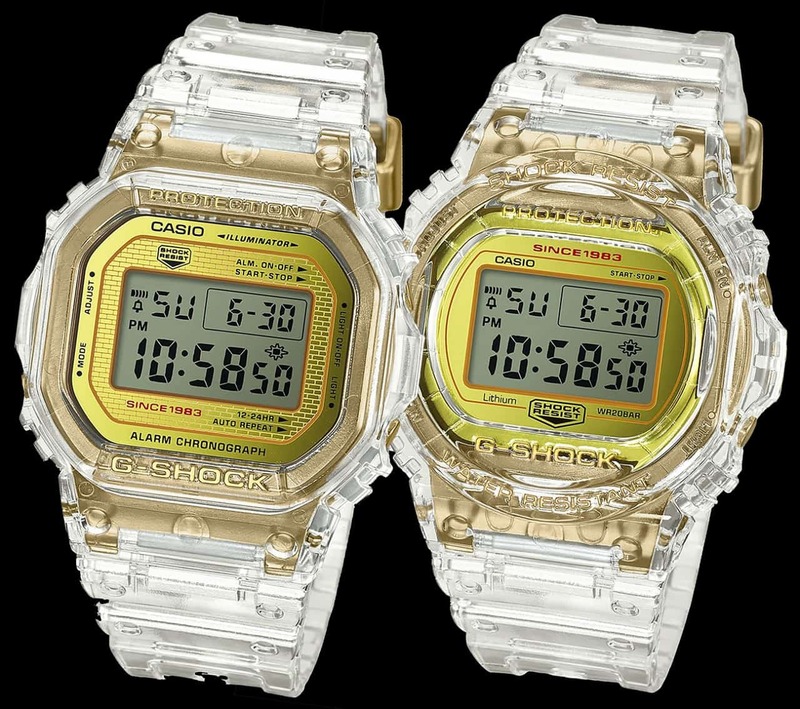 These watches feature translucent jelly cases and straps with gold highlights and dials. Through the translucent jelly case, the inner gold stainless steel case can be seen. All these watches are based on existing G-Shock models and come with some of the popular features these watches are known for, such as shock resistant bodies, multiple alarms, countdown timers, multiple time zones etc., depending on the model you choose. All of these special 35th anniversary Casio G-Shock watches come with wording “Since 1983”, in red, on the dials. The models that are available are DW5035E-7, which is based on the first ever G-Shock DW-5000C from 1983, DW5735E-7, GA-735E-7A, and GA835E-7A. 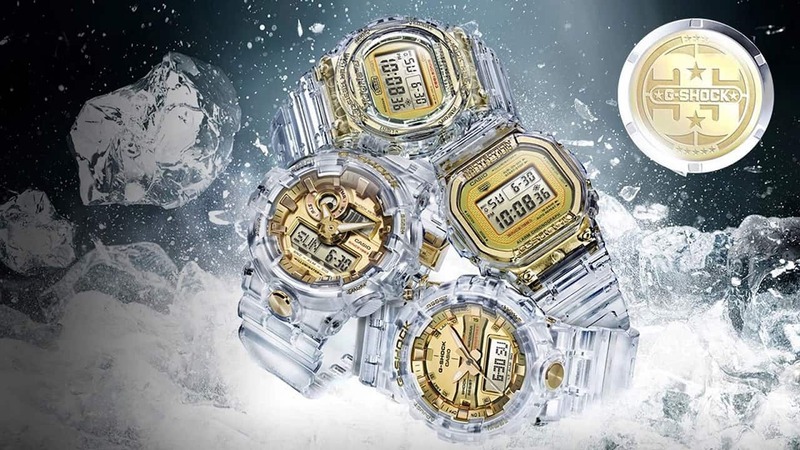 The 35th Anniversary Casio G-Shock Glacier Gold 35th Anniversary Limited Edition ‘Jelly G’ GA735E-7A and GA835-7A are priced at $160 US each and the DW5035E-7 and DW5735E-7 are priced at $220 US each. For more info, visit g-shock.com.